I advise all clients to develop a “Global Hashtag List” of at least 30 hashtags they are confident about using on social media. If you want a deeper dive into hashtags please check out this video playlist for The Social Classroom. So you think you’ve come up with a fabulous hashtag for a new campaign or want to piggyback on a hashtag you’ve found in a Trending List. 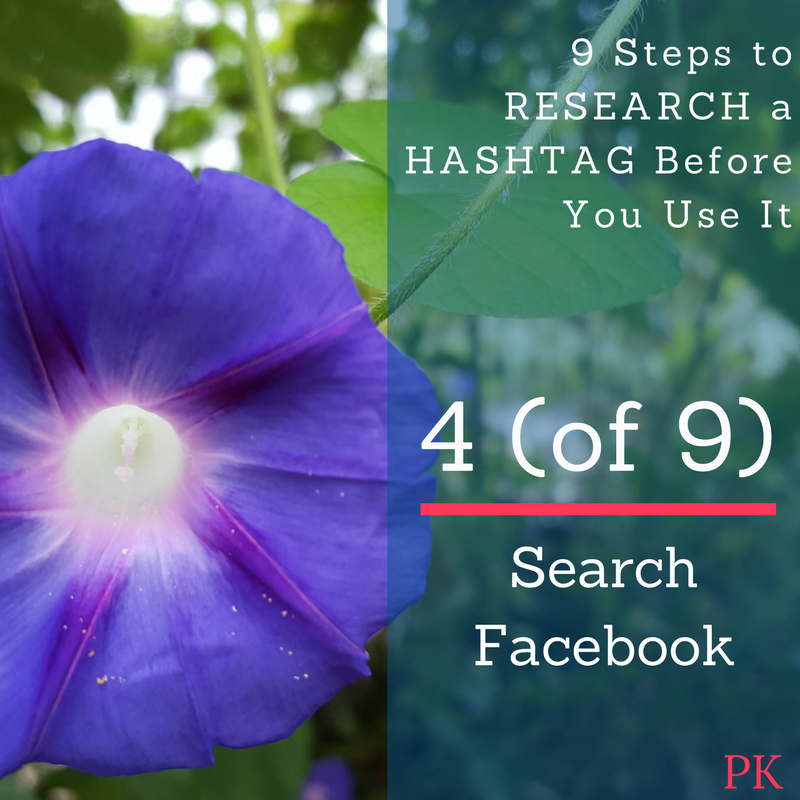 Better do a little research before you start using it all across the social web. 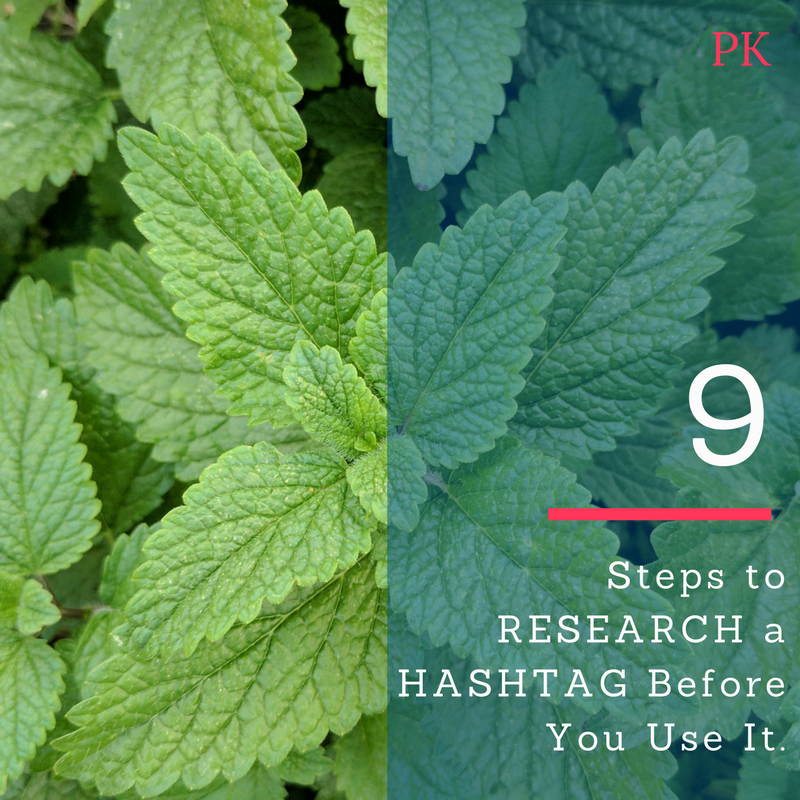 Here’s my personal process for doing the research on hashtags. 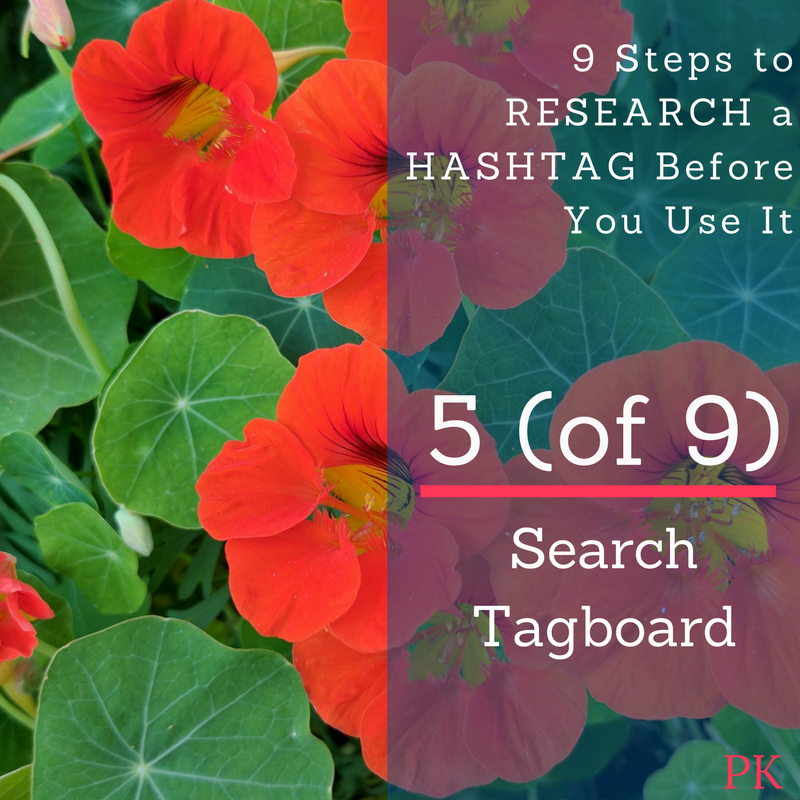 Stick around – at the end of this post I have a downloadable checklist you can use to research your set of hashtags BEFORE you use them. 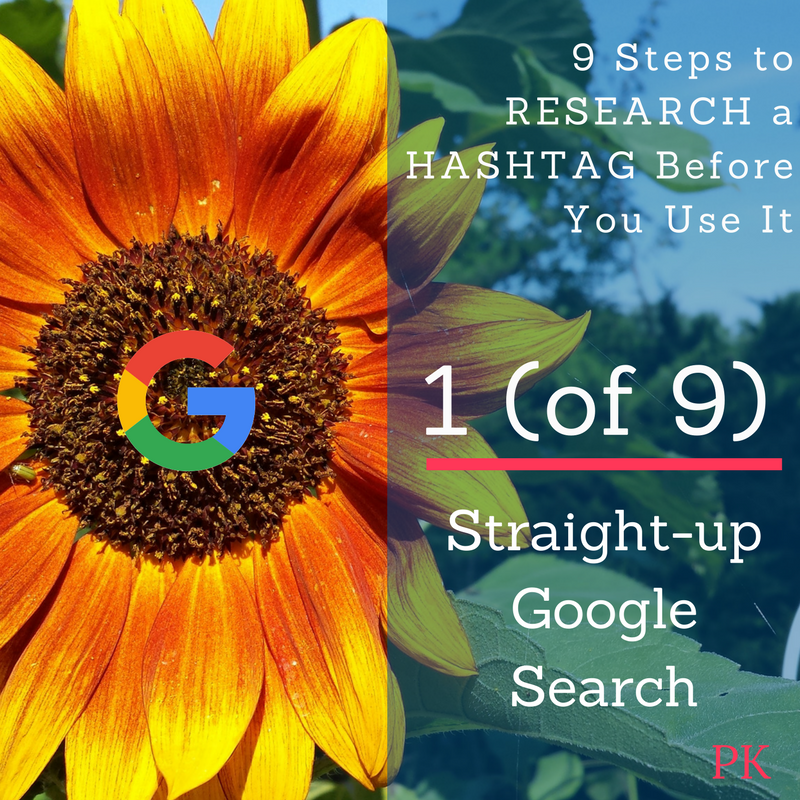 A Google Search on your hashtag will bring up results from Twitter and other social sites, plus great tools that have hashtag search features, like Tagboard. But this type of search will give you a quick overview on how that hashtag is being used. Make sure you also do this search from your phone, as you will see different results! Click through the top 10 items and scan through the rest. If Bing is your thing, then use that search engine for this work. While you are on that Google Search results page, click the tab for Images. This might be very eye-opening if you are researching a hashtag that’s been in use for a while. Click an image and see how it’s presented on a website. Remember, you can add hashtags to the ALT text in an image, so that might be the reason an image comes up in the search. AND remember, this goes both ways! 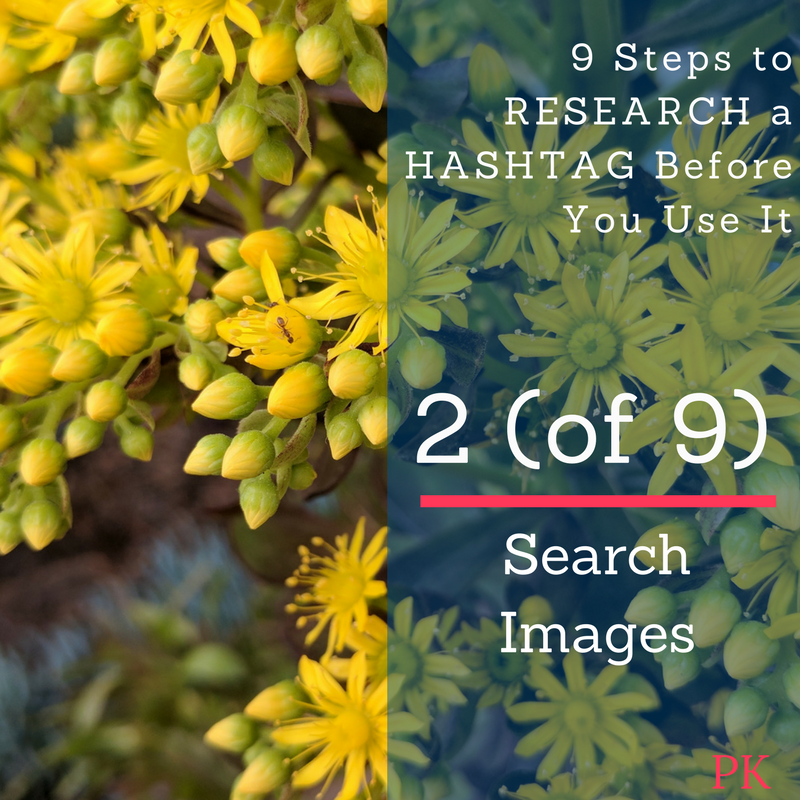 When you use an image hosted on your website make sure YOU put in those important keywords and hashtags in the Alt Text. 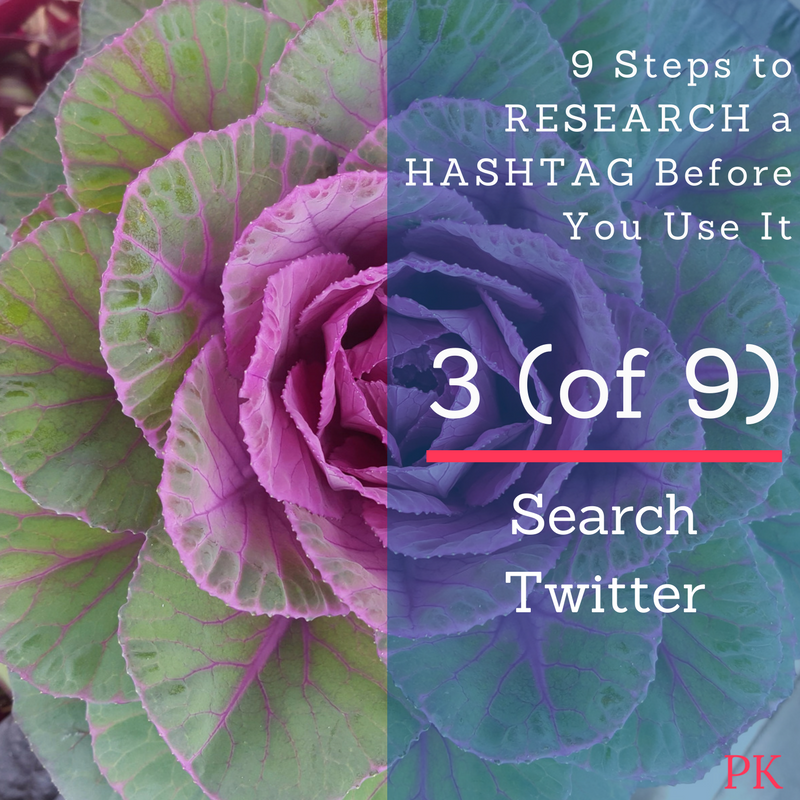 Even though Twitter comes up in the first Google Search, I always go directly to Twitter, too, for the next part of the research. Put the hashtag in the search field once with the # and then again without the #. Not only will you see people who are using the hashtag, but also people who have used it in the name of a Twitter List they’ve created. Spend a lot of time researching in Twitter, since this might be the social site where you use the hashtag the most. Extra Tip: You can set up search results in HootSuite based on a hashtag. 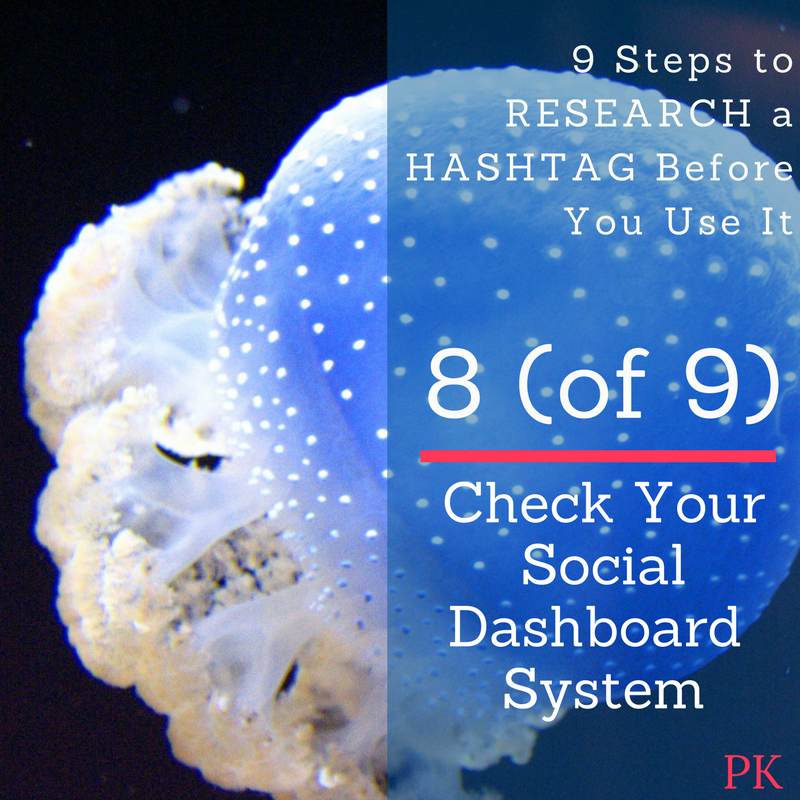 And many social dashboards provide a way to research hashtags, too. Use Graph Search on Facebook to see Posts, People, Photos, Videos, Pages, Places, Groups, Apps, and Events that use that hashtag. Remember, most people don’t use hashtags on Facebook so your results might be thin or very old. I always check it anyway, just to be safe. Tagboard is one of my favorite places to do a search for a hashtag. It pulls in social posts from Twitter, Instagram, Facebook (if they are Public posts), and G+. You can search for free and it pulls in text and videos and arranges them in a lovely grid format. Tagboard does have a paid plan for events, so if you run a large event and need to publically display all the social posts fueled by a hashtag, then check them out. The Bonus with THIS site is – if no one is using your hashtag, you can “register” the hashtag and design a page to represent it. Like you see here. You can add a header image, descriptive text, and associate your social accounts. Lovely. 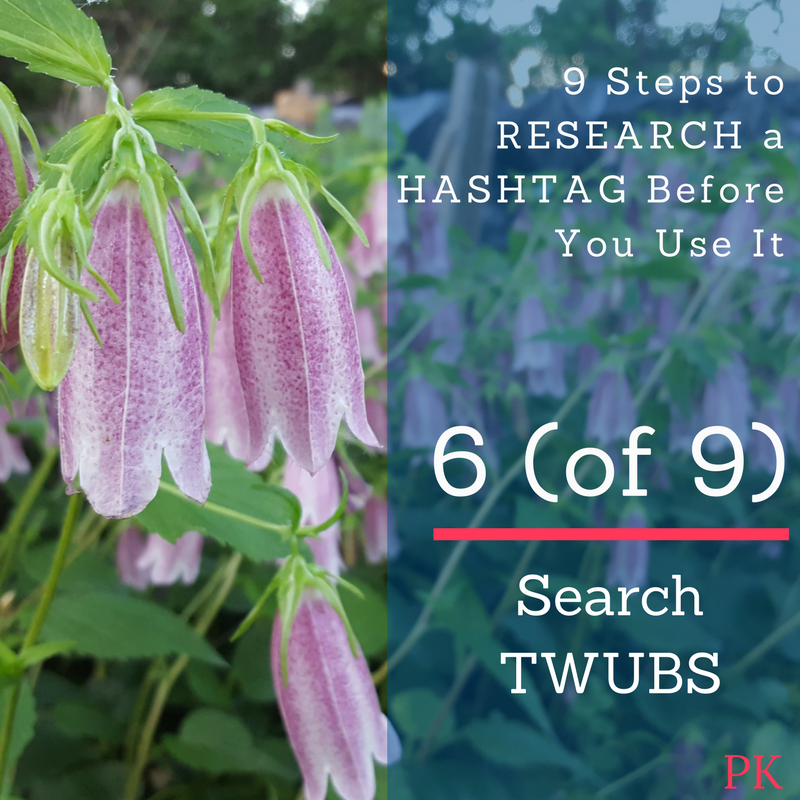 If I remember correctly, Twubs has been around the longest in the category of hashtag research and registration. I really love this interface for checking out a new hashtag, registering it, and branding a page for it. There are also live event widgets and a lot more. 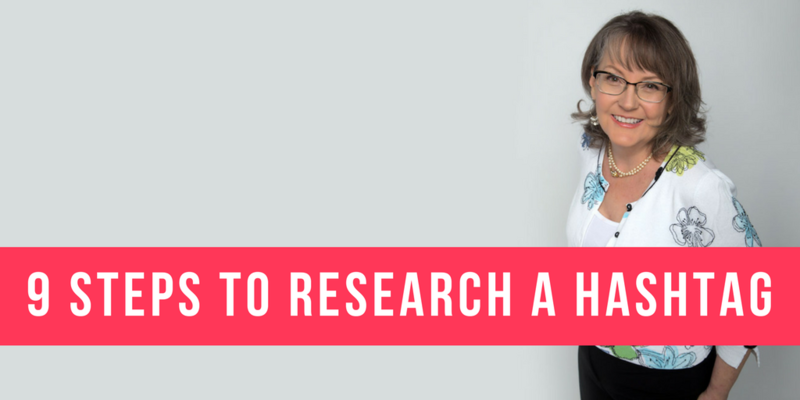 As far as research goes – try this one. I really love this interface for checking out a new hashtag, registering it, and branding a page for it. There are also live event widgets and a lot more. As far as research goes – try this one. As far as research goes – try this one to see if someone has registered it or verified it (a paid feature in twubs.com). 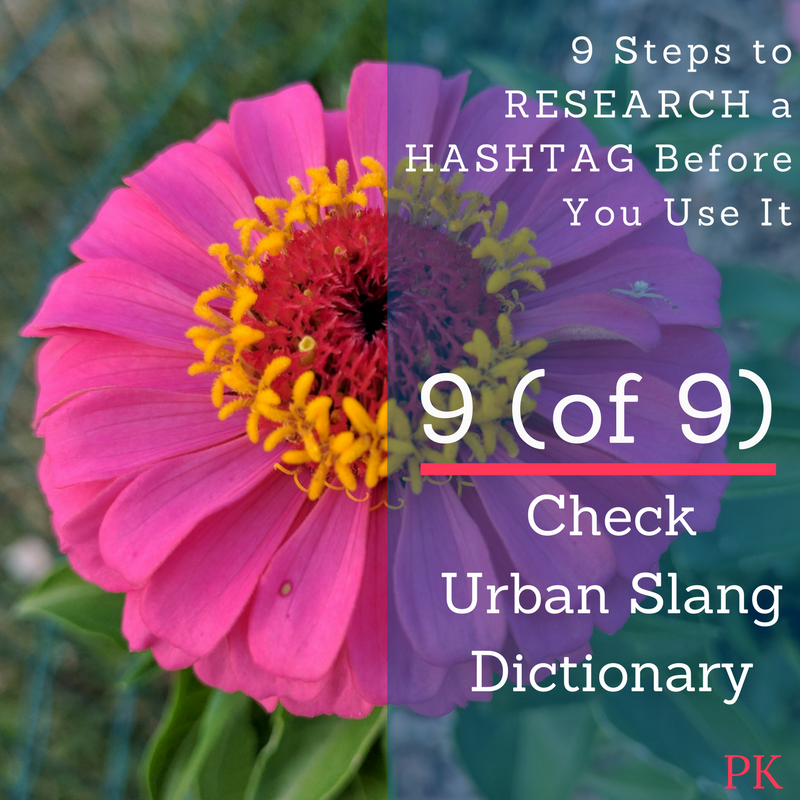 This service is the fanciest system for doing research on hashtag usage. The free portion of this system lets you see related hashtags and the data on influencers that use the hashtags. You can compare hashtags using this system, too. It’s a little techy, so be patient as you explore it. If you are creating a report for a client I would certainly recommend you spend a lot of time here. Try getting the embed codes for some of the dynamic graphs – you will look like a rock star. The paid part of their services is for those of you who specialize in this type of research for clients. In my list of 9 Tools You Need as a Social Media Manager, I talked about having a great social dashboard. More than likely the one you’ve chosen has a built-in search feature for hashtags. Use those built-in systems to do your due diligence before adding that hashtag to your tweets and posts. Yep. Better check there, too. 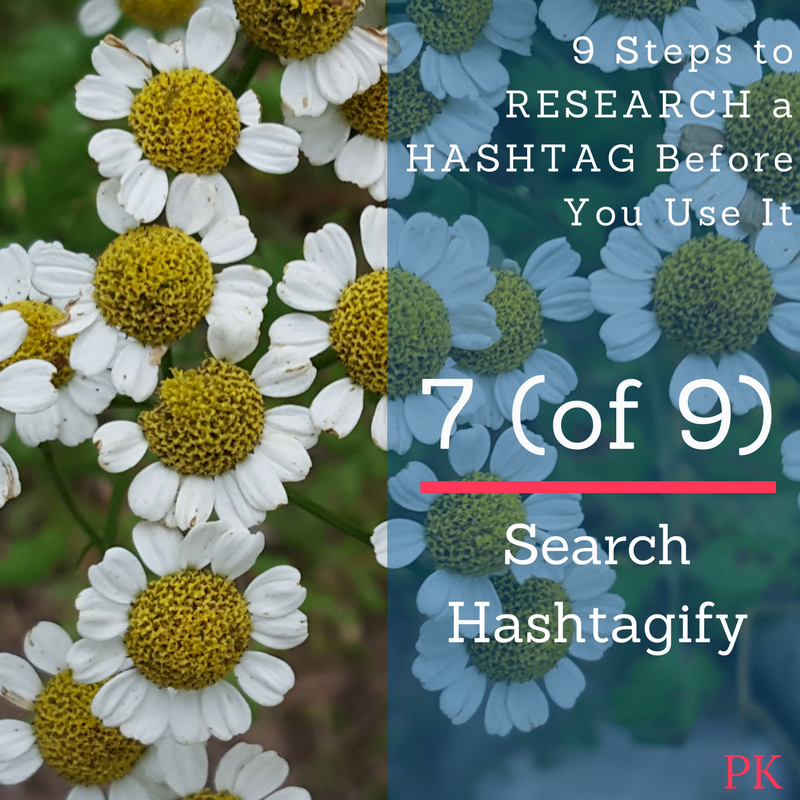 If you go through these simple research steps you should be clear about whether or not to use your desired hashtag. As in all things Internet, you can only be about 80% sure you are in the clear. If you find yourself in trouble for using a hashtag (for example, one that is already in use with someone else’s product or services, or you find yourself using a hashtag that has a different definition that you thought it did), always default to your friendliest self and work through the problem. Join us over at Social Media Manager School for more on this and all the topics around social media management! Great article, Phyllis! Had I not done research, there would have been an embarrassing moment for a client – a dentist that wanted to use a particular hashtag that was being used frequently by a heavy metal band. hahah – GOOD thing you checked!